"Elvis and the Memphis Mafia"
"You don't need to be an Elvis fan to be awed by this book. It is so detailed, gossipy, far-ranging and coherent that it becomes a clear window on an entire era. The book's genius is in the volume of fresh and flowing information...Nash is one of the finest, most perceptive chroniclers and appraisers of pop music in America." Finally, the long awaited re-issue of Alanna Nash's superb 1995 book, Elvis Aaron Presley: Revelations of the Memphis Mafia. With a snappier new title, a new generation of fans and many older fans who have forgotten just how enthralling this book is, will have the opportunity to expand their knowledge of Elvis many times over. The final product is an absorbing 792 page roller-coaster ride...a ride you won't want to stop! In many ways Elvis and the Memphis Mafia is like an Elvis encyclopedia. It covers so many diverse subjects that at times your mind spins at the information being provided. The anecdotes, the recollections, the revelations, the emotions...they tell the whole Elvis story, from birth to death and beyond. The three central protagonists (Billy Smith's wife, Jo, also features in one chapter) speak with candour, at times with great emotion, at times evoking a wonderful playfulness, and the result is delightfully colorful and at times confronting and challenging. Many of the events discussed in Elvis and the Memphis Mafia sparked high emotion between Billy, Marty and Lamar, and their sometimes diverging opinions on what actually happened offers an insight to the rich and complex tapestry that comprises the Elvis story. Regardless of the tension sometimes inherent in the differing views, Elvis and the Memphis Mafia is always engrossing and continually offers us gold nuggets of information which add immeasurably to our understanding of the man who was Elvis Aaron Presley. There is also great poignancy and sincerity in Elvis and the Memphis Mafia, and the reader's emotions will often flow from joy to laughter to anger and sadness. 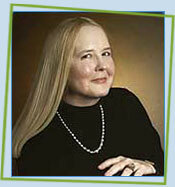 Such is the wonderful and illuminating way in which Alanna Nash has captured and presented her potent narrative. Some fans will be unsettled by the discussion of Elvis' final, erratic years. It paints a disturbingly vivid picture of a man unfortunately emotionally and psychologically out of control. And many readers will, like me, seethe with anger at the many "creative" missed opportunities so routinely and blithely dismissed by The Colonel! At the same time one cannot help but acknowledge the fact that Elvis did not take enough personal responsibility for the direction of his career. Gladys and Vernon Presley - what you didn't know! the huge multi-million dollar concert offers from England, Australia, Japan and Egypt...all indefensibly rejected! The re-issue lacks the photo spread included in the original hardcover release, while a 25 page Index adds value to our reading. 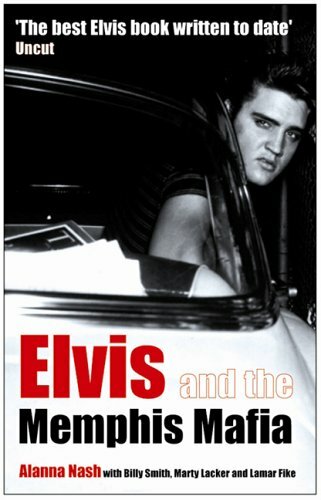 Verdict: Elvis and the Memphis Mafia thoroughly deserves its reputation as one of the best ever books written about The King. This book was the #1 Elvis book release in 2005 and should be an essential inclusion in all fan's Elvis libraries. Highly recommended. Hi, I read your review before but did not want to comment until I red the actual book, which I think is very well designed, but I still do not want to make any further comments and be blamed for not being fair. It is hard to judge people without thinking, it is one thing to hear about a story and another actually being there in the same steps they were. Also I agree with the fact that Elvis was such an insecure human being, and he never took actual control of his life and his career, and did not have around himself the right people to council him, guide him and help him make the right decisions to the point of not really knowing what was happening in the entertainment world, so sad when you think that he spend the last years of his life in pain and suffering, pushing himself to the edge when the people around himself watch his self destruction. Extremely sad to know that some of them where around him for his money and not because they have any kind of fillings for him, starting with Ginger who was found to sell her story for money to the Enquirer, and this I do not doubt because she was the only one upstairs and the one that saw him death first that could provide that information first hand. The will that was never found ignoring his last wishes. So much can be said and I have to say that this book is full of so many sad things that happened and the thought that there was nobody that could try to save him even from himself. All those guys put up with a lot, but at the end they were just expectators of all the destruction. I could undertand why to this day they still have nightmares and could not help but to think about it. I hope that they could find peace some day. And then Priscilla came in the picture after his death to become the head of this all Estate, running this Estate ignoring the wishes of Elvis that said to help the ones in need and acting as she was his widow. I will say no more about her, I never have any good thoughts about her. Good review, and thanks for letting me comment on this. I agree with your review. Elvis & the MM is my fave Elvis book. It made me feel as though I was there with Elvis, experiencing parts of his life and his ups and downs. Maybe they'll publish a 2nd volume. These guys sponged off Elvis for years, bad mouthed him for a buck and I bet none of them have done a decent's day's work in their lives. They can gloss the story all they want but the truth was there at the time. 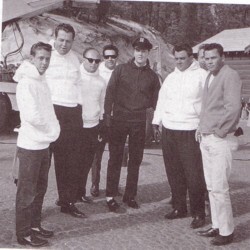 Elvis was his own person but god these guys should have done more to save him.